The benefits of exhibiting at tradeshows are vast: You can meet multiple suppliers and existing customers, generate new business leads and strengthen relationships. Furthermore, 58% of attendees go to network and stay on top of evolving industry trends. So teach them something new! But how many companies miss the most important step—the pre-show promotion. Many believe that their only responsibility for a tradeshow is to set up a booth and attendees will appear. Here are a few pre-show tips to increase your exposure and drive traffic to your booth. Get hold of a media list from the tradsehow website or contact the organizer directly. Invite the media contact to stop by your booth and give them a compelling reason to do so: Whether it is a new product launch, an enhancement to existing instrumentation, to pick up a gift, or simply to discuss something significant that is happening in your company. Invite them to schedule a time to conduct an interview with your CEO or senior product specialist. Don’t forget that bloggers, e-publishers and forum leaders are also members of the press! 2. Prepare a Press Kit for Onsite Distribution. Most shows maintain a press room or at minimum, a table where you are permitted to drop off your press kits. Include company information (demographics & background) with booth number, new product information to include benefits and photos, staff contact list, copies of recent press releases, any company or product awards and any other relevant information. "Make it as easy as possible for a journalist to write about your product"
The trend for press kits is going away from hard copy as many journalists do not want to carry paper around a show floor. The goal is to make it as easy as possible for a journalist to write an article about your company or product. Putting the entire press kit on a flash drive will not only provide all the information a media person needs, but will also make it easier to cut and paste text into an article and to download photos. Approximately four months from show, run campaigns to your customer and prospect database announcing your company will be at the show and invite them to stop by your booth. This will allow them enough time to get approval to attend if needed, make travel plans and to register. Send a reminder email about two weeks prior to the show. It would be helpful to include an incentive such as a free gift or some small token or order discount. Tip: Demonstrate the value of attending your booth and focus your pre-show campaigns on specific applications and verticals which your product addresses. If the show organizer offers their conferee list for purchase, invest in that list as well and send the same invitation. Many shows offer complimentary passes. These can be used by your sales team to distribute to prospective customers to get in the door or for existing customers to build a stronger relationship. Encourage conferees to schedule a time to meet during show hours to discuss any specific lab challenges or questions they may have. Many expositions offer networking software to make these kinds of connections. Take advantage of the software or mobile app and engage attendees in conversation. For months prior to the show, print the name of the show and “Visit us at booth #111” on all invoices/outside envelopes to customers, include it in e-newsletters, on your website, in product mailings and in any other hard copy or electronic communications to customers and prospects. About four months leading up to the show, create a social networking plan. Include a timeline that allows for at least 2-3 postings per week on the company Facebook, Twitter and LinkedIn pages about the upcoming show. Be sure to mix up the posts. You want to talk about what your company will be doing at the event, any promotions, demos, talks, seminars, etc.. In addition, include posts about other relevant activities happening at the show. Then include links to some interesting content materials and articles posted on your website that would be of interest to your followers. Be sure to also start the conversation by posting engaging questions or challenges. Pittcon is the leading tradeshow for Scientific and Analytical Instrumentation. The conferees include Scientists, Researchers and Laboratary Technicians looking for the latest applications in analytical chemistry and biology. Contact us today to discuss your pre-tradeshow strategy and make the most of your time with clients at the show. 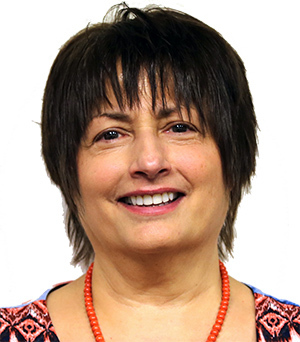 Marian has over 20+ years experience in marketing communications with the past 11 years, managing the marketing and publicity efforts for Pittcon. Her expertise is in creating and implementing marketing plans to increase or enhance company exposure and boost sales by incorporating the latest marketing and publicity strategies and tools into the mix.